During this popular travel month, it’s still possible to find respite from the crowds - or make your way into the middle of the action. Do you know what is happening on 30th of April in Danang? While you might think summer’s the time to curl up in bed with a never-ending stream of air conditioning, the summer of the year actually packs lots of travel opportunities for trekkers, romantics and anyone looking to get a little much-needed vitamin D (not this year, seasonal affective disorder!). Behold, the five best places to travel, even if it means you’ll probably be flying out heat of summer. First destination I would recommend to you. Sail among the jagged rocks of over 2000 islands in the Gulf of Tonkin at Halong, which translates as 'where the dragon descends in to the sea'. 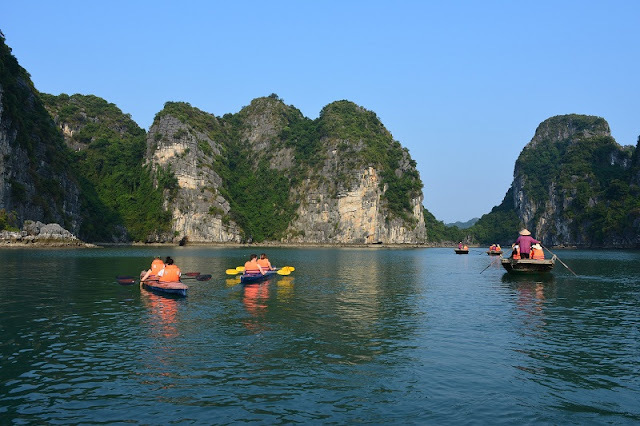 If you want to get a closer view, hire kayaks and explore the caves or find your own deserted bay. 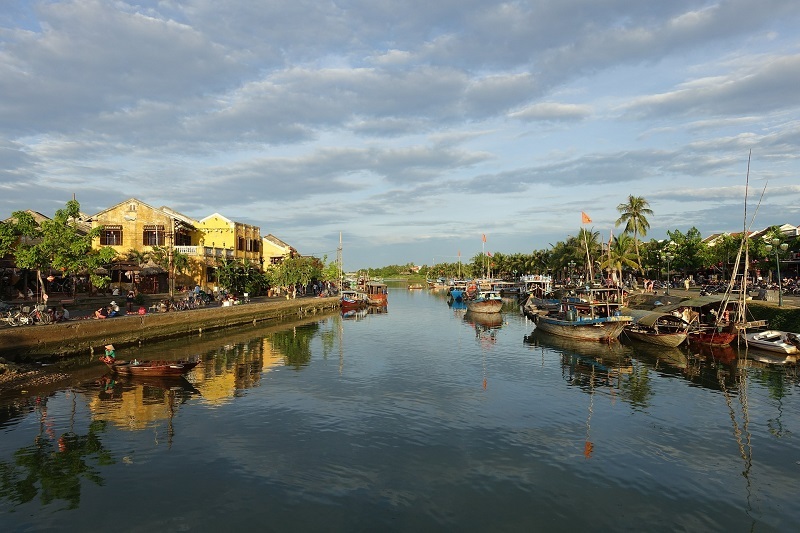 Regarded as a crucial trading port of Indochina in the past, Hoi An Ancient Town echoes something thriving yet a sense of nostalgia. Taking for a walk along small streets of the town, you will realize that Asian authentic architecture covers most houses and structures here. Although some are too old and full of moss, the ancient beauty is still found at each angle. The most outstanding spots you are advisable to discover embrace Chinese Phuc Kien Assembly Hall and Japanese Covered Bridge. Due to this attractiveness, it has been designated as a UNESCO World Heritage Site – a deserving destination as well as one of the best places to visit in Vietnam. It is also exciting to get onto the boat and cruise along Thu Bon River to peer down at the serene charm of the town. Go trekking in the hills of Sapa for amazing views across the jungle and mountain ranges of north-west Vietnam. Equipment is cheap and easy to come by so don't worry if you're not a natural mountain goat, you'll soon be up there, gazing at the views as the mist rolls in across the peaks. There is no doubt that Nha Trang is one of the wonderful escapes in which you can lay back at the most stunning beaches of Vietnam. Just go on a bus and travel approximately 400 kilometers from Ho Chi Minh City, and you will reach this destination. 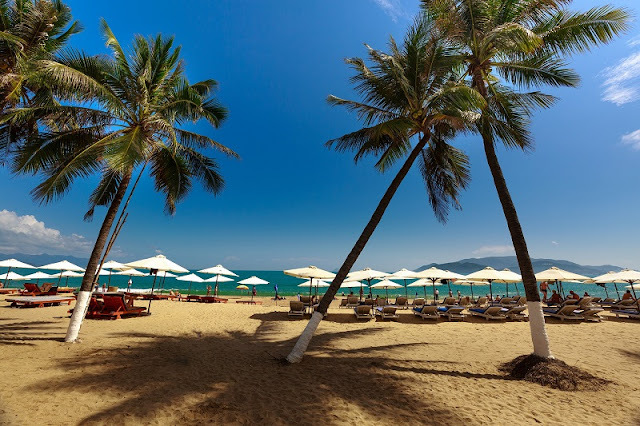 Interestingly, Nha Trang is also the home of Buddhist temples, remnants of the Champa Kingdom, gothic-style Catholic churches, striking waterfalls, salt fields, and hot springs, so you will surely take a meaningful and deserving tour of sightseeing. It will be a good idea to travel around on two wheels you rent from a local shop, helping you to explore all fabulous landscapes of the city while touching all unique cuisines here. Mui Ne – Phan Thiet may not be beyond the list of the best places to visit in Vietnam due to its magnificent beauty, which includes imposing beaches, unique sand dunes, tropical forests, traditional villages, ancient structures, and others of Let’s imagine how awesome it is to gaze into phenomenal landscapes, take eye-catching photos, soak up the great ambiance, explore exciting sand dunes, and chill out at the beaches with a cocktail. While more and more resorts and hotels have been built along the coastline to meet various travel demands, there are still isolated regions for you to enjoy the tranquility and pristine element of nature. 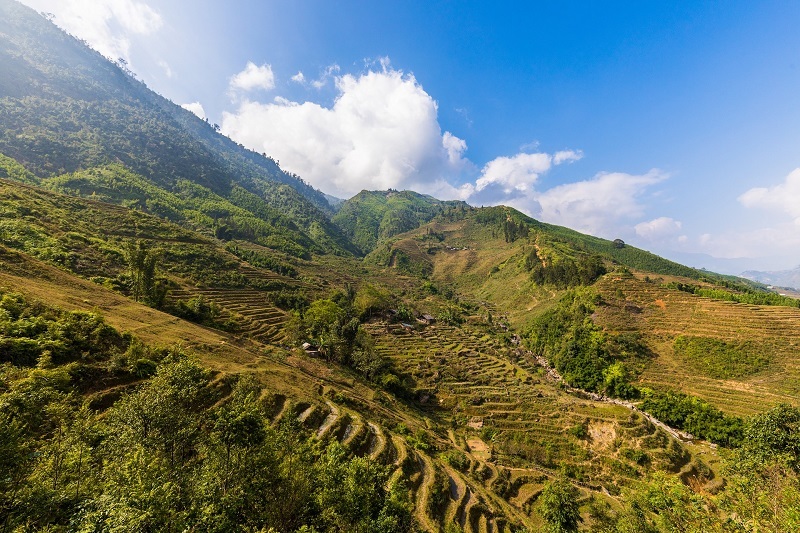 Romantic and joyful atmosphere in beaches, warm sunshine, take a trekking through the terraced fields and daily life of ethnic group in Sapa, all of these make May become one of the best times to travel in Vietnam.